Combine bananas, sugar, orange juice, and cardamom in a large saucepan and cook on medium hear for about 5 minutes (or, if you have a sugar refractometer, unit it measures 57%). 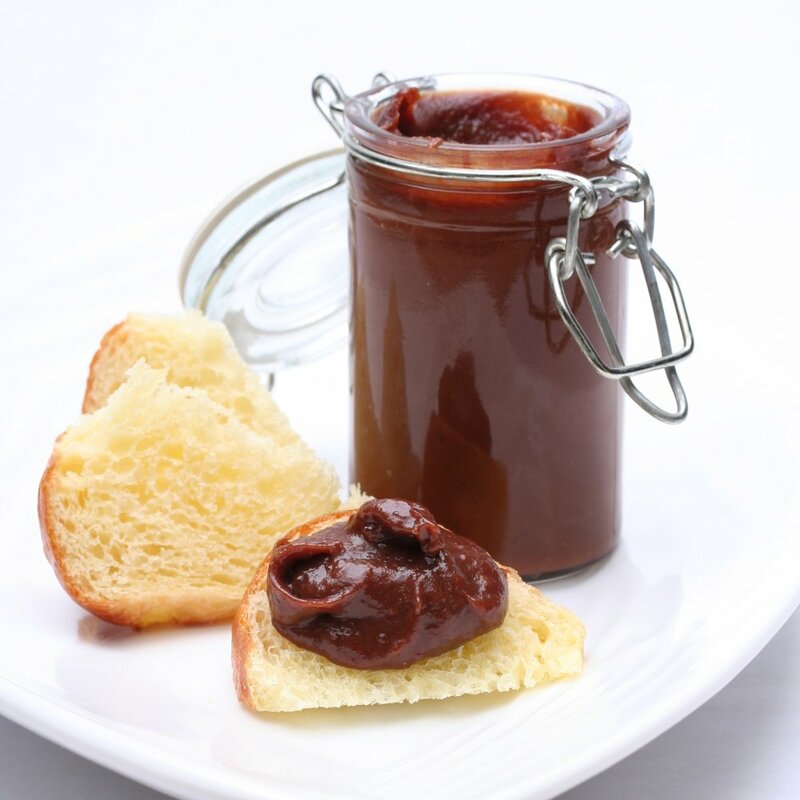 Place chocolate in a tall, narrow container. Pour banana mixture over chocolate and blend with an immersion blender unit mixture is smooth. Pour mixture into a clean container fitted with a lid and store in fridge for up to 3 weeks. For this recipe, we suggest using our Single Origin Ecuador (click on picture below to link to the product page) Bean to Bar Chocolate with its rounded notes of chocolate, almond and sweet spice, which are a very well suited to compliment the spiced and fruity notes of the jam.